In 2014 we began to see a greater awareness of the importance of mobile for online advertising. This year mobile advertising is becoming even more important. Dealers are now learning that their consumers are relying on mobile devices when they make purchase decisions. This knowledge has brought many exciting new opportunities for improving the way that their products are advertised. 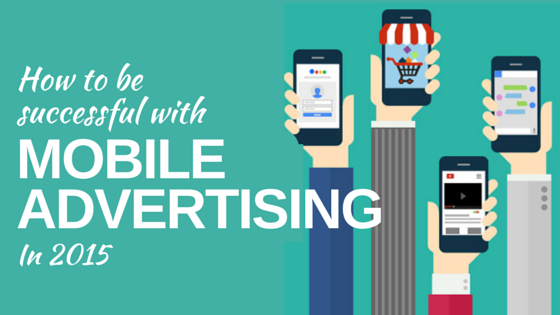 To help you succeed in your mobile advertising efforts, we have gathered the following predictions for mobile advertising this year and have suggested actions that you can take to keep your business relevant to today’s mobile shoppers. Mobile will fuel technology growth and digital initiatives. Lead the pack and shape your mobile advertising to your dealership. Look at current mobile ads for examples and determine the best strategy for you. Mobile will transform your dealership’s organization and how you operate. Work with your account rep to determine how to allocate and grow your mobile budget and resources. Educate your team members on the importance of mobile advertising. More ads will be created exclusively for displaying on mobile devices, breaking away from desktop to mobile crossover. Make it a priority to create mobile-friendly ads that are optimized for displaying on mobile devices. These new ads will help you get even better responses from your audience. Business and tech strategies will shift focus from the importance of simply having an app to the importance of the user experience in that app. Prepare your company to work seamlessly on and off your app, so you can serve customers where they are to create a great user experience. Consider the use of digital maps, instant messaging, and other features in addition to your regular app. Mobile privacy is an important factor in the mobile experience. Work to create mobile-friendly policies and practices that make the way you collect data clear to your users. It is important that your users feel like their privacy is safe on their mobile devices. By utilizing the above recommendations, your dealership can be more focused and deliberate in your 2015 mobile advertising efforts. For more mobile predictions for 2015, check out this helpful resource from Adobe.